Delissio expands is lineup of frozen pizzas with the introduction of the new Delissio Stuffed Crust pizzas. Delissio Stuffed Crust Canadian Pizza features a crust stuffed with cheese and topped with pepperoni, bacon, and mushrooms and mozzarella cheese. Delissio Stuffed Crust Deluxe Pizza consists of the brand’s signature pizza crust stuffed full of real cheese, and topped with Italian sausage, pepperoni, red and green peppers, black olives, chopped onions and mozzarella cheese. Delissio Stuffed Crust 3 Meat Pizza features a stuffed crust topped with pepperoni, ham, and Italian sausage and mozzarella cheese. Delissio Stuffed Crust 4 Cheese Pizza features the brand’s signature pizza crust stuffed with real cheese, and topped with four more cheeses – part skim pizza mozzarella, cheddar, asiago, and parmesan. 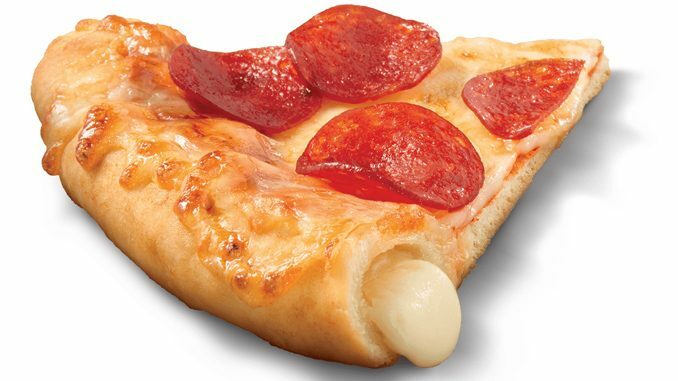 Delissio Stuffed Crust Pepperoni Pizza features a golden crust stuffed with real cheese and comes topped with topped with classic pepperoni slices. You can find Delissio’s new lineup of stuffed crust pizzas in the freezer aisles at grocery stores and other food retailers across Canada. These are pretty amazing. I definitely recommend trying them if you can find them.